How exciting is this? SU have extended the offer to purchase individual markers until December 14th, 2008. If you still haven’t put your order in with me for these you still have time. It has been great for me as a demonstrator as I could replace a few damaged ones. As a customer, you have the benefit of being able to pick and choose your favourite colours without having to purchase the complete set or colour family. Sthe wheel that is. Yesterday I told you about the Free Wheelin’ Promotion for September. I made a few cards and promptly spilt ink all over them. Urgh! So I have just recreated one for now. This is a card just using the All About Christmas wheel. You can get this wheel for FREE with the purchase of the Merry Merry stamp set for $45.95…that is a saving of $15.95, a real bonus! No, I am not about to go doing burnouts on the roads LOL. This is the new promotion for Stampin’ Up! for September 2008. Read all about it here. Purchase any of the six stamp sets in the promotion and receive the matching Jumbo wheel FREE!!! How good is that? Stampin’ Around Wheels are a great way to enhance your projects. 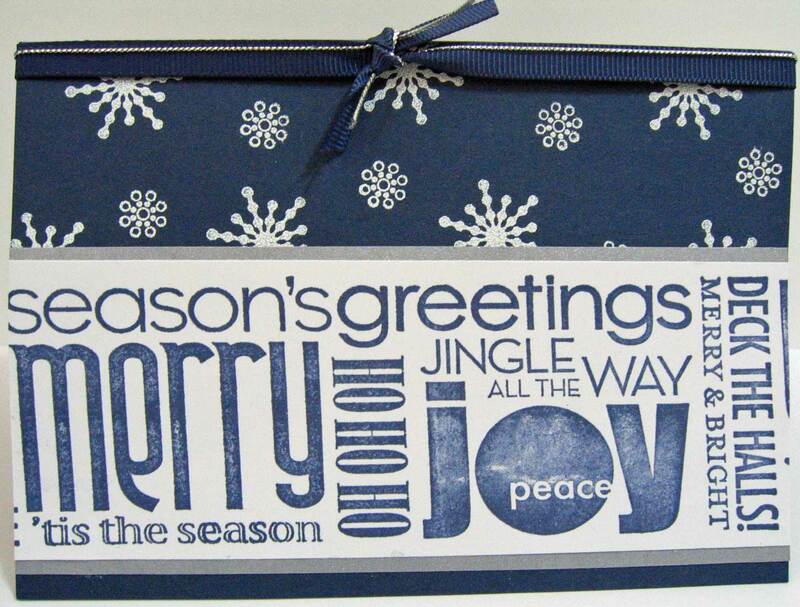 In just minutes you can have a card, envelope and gift wrapping to match. Or maybe you would like to make your own stationery. The possibilities are endless!!! I will upload a few pics later. Have to go and run a few errands before heading off to work. Be back later today or tomorrow morning.